Earlier this year, Google started rolling out a new smart reply feature for text messages for Project Fi users. The feature, which made its debut in the Google Allo IM app, makes use of artificial intelligence to analyze incoming messages and provides quick reply suggestions. The smart reply feature was also extended to Gmail and Google Inbox, and last week we got to know that the company was developing a new API to bring the feature to all third-party chat applications. 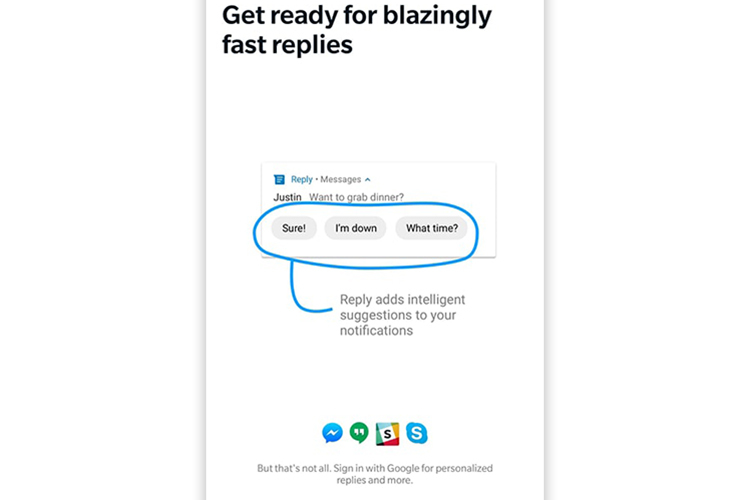 Now, Google has released a new app called Reply, which brings the smart replies feature to all third-party apps. 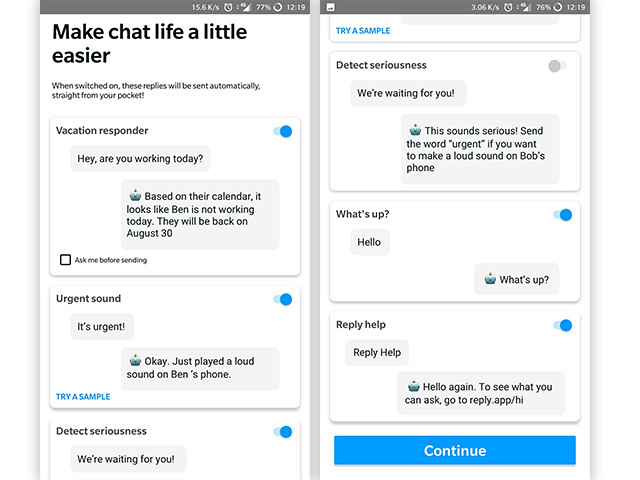 The app, which is currently in beta, provides relevant responses in all third-party messaging apps, including Hangouts, WhatsApp, Facebook Messenger, Skype, etc. 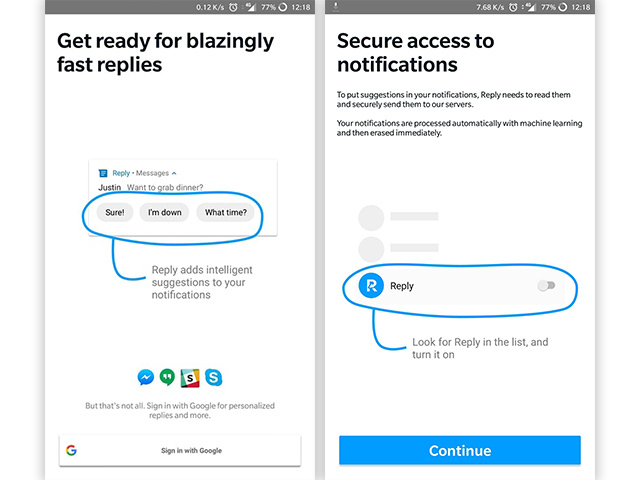 The smart replies are made available in the notifications, allowing users to quickly send a reply when they don’t have the type to stop and type. 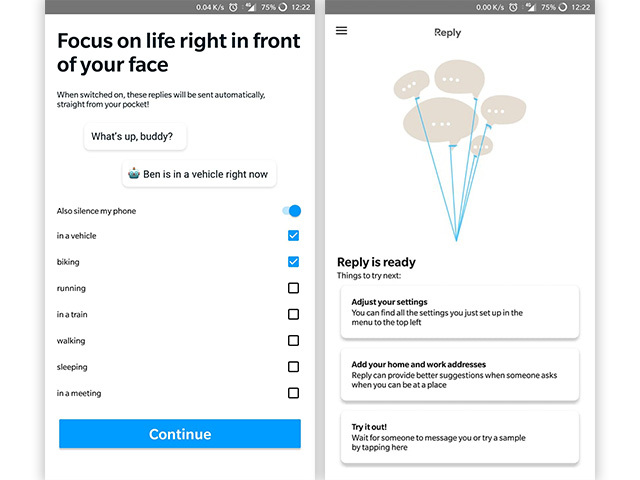 In addition to smart replies, the Reply app also brings automated features like auto-DND, which switches on while the user is driving/cycling and sends automatic replies to incoming messages alerting that the users is not available to reply. Once installed, users have to go through a simple but long setup process, during which the app explains its features and allows users to link their Google accounts for better reply recommendations. The app also requests location access which allows it to provide appropriate replies while the user is at work or commuting. 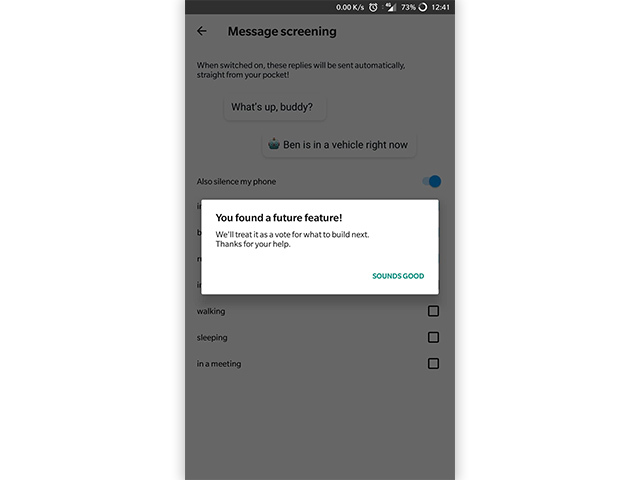 After the setup, users will be able to see bubbles containing potential automated responses in messaging notifications. A quick tap on a bubble instantly sends the chosen message. Currently, the app only lists Facebook Messenger, Twitter Direct Messages, and WhatsApp in its supported apps list, but we believe that more apps will be added before a stable version is released to the public. While the app isn’t listed on the Play Store yet, you can download the APK from APK Mirror and try it out for yourself.